FoolProofMe - Thinking about Buying a First Home or Moving Up to a Larger Home? The housing market has been much in the news recently. After years of steadily rising home values, the home values went down. In some areas, home values went down drastically. Making the right decisions for your budget and family can help you buy a home and keep that dream from becoming a nightmare. At the same time, a record number of home foreclosures occurred in the last several years. The press was full of news about "subprime" mortgages. As some of the heavily marketed "creative" financing products such as Option Adjustable Rate Mortgages (ARMs) "reset," many homeowners suddenly faced higher monthly payments that they could no longer afford. The impact unsettled the housing and mortgage markets. If you are thinking about buying a first home or perhaps a larger home to fit your growing family, what can you learn from what's happened in the housing and mortgage markets? For savvy consumers, those events offer many sound lessons that lead to smarter decision-making. Owning a home is part of the American Dream. As home values continued to rise, "creative" financing options were marketed to a broad range of consumers (including families whose income or credit rating did not qualify for traditional mortgages). Mortgage products like Option ARMs attracted consumers with promises of larger loans for smaller monthly payments. Originally intended for consumers who had high but irregular incomes, Option ARMs were heavily marketed to middle- and lower-income consumers as a way to buy more house for less money or as a "creative" way to qualify for a mortgage. An Option ARM is an adjustable rate mortgage that offers "flexible" payment options: borrowers may choose a minimum payment, an interest only payment, or a payment that pays interest and principal. Minimum payments pay only part of the monthly interest accrued and the balance of the interest is added to the loan principal. And an estimated 80% of Option ARM borrowers make only minimum payments. This practice results in a "negative amortization" loan—the amount borrowed (the principal) increases rather decreases each month. After a fixed initial period or when certain criteria are met, the loan "resets" the interest rate and payment, usually to higher amounts. Thereafter the rate typically resets frequently. The sales rationale offered to consumers was that they could "get into" a home using an Option ARM with its lower "affordable" payment options, then as the home's value increased, refinance to a traditional ARM or 15- or 30-year fixed mortgage. The problem with Option ARM: Several things turned out to be wrong about that scenario for many consumers. Here are some of the facts and risks about Option ARMs many borrowers did not understand. Making only minimum payments increases the loan principal rather than paying it down. When the loan principal increases beyond an amount stated by the loan terms, the ARM interest rate and monthly payment reset immediately, without regard to the initial "fixed" period. Because many borrowers made no down payment or a very small down payment, they have little or no equity in their home. The increased loan principal they owe may be more than the value of the house. This was particularly true in areas where home values dropped. With the decrease of home values and because they owed more than the home's value, these borrowers could not refinance their homes, nor could they sell it for more than they owe. Many began to fail to make the much higher payments. Mortgage lenders began to foreclose. Many mortgage companies who made these loans are now in financial distress, have declared bankruptcy or have shut down. You've saw a lot about that in the news. Because thousands of option ARMs and other similar products were sold in 2005 and 2006 and were due to reset in 2007 just as many home values were falling, many financial experts forecast increasing defaults and foreclosures, a surplus of homes on the market, and a tightening of mortgage availability. That happened. And we know that the problems in the mortgage and housing markets were a major cause of the financial crisis and recession. What Can Smart Consumers Learn From These Events? Smart consumers can literally take home several important lessons. If you are shopping for a home or thinking of refinancing, here are some tips. Make a down payment on a home whenever possible. You will usually owe less than your home is worth. In addition, if you are able to put at least 20% down (typically from the proceeds of a home you are selling), you will save the cost of PMI (private mortgage insurance). Choose less risky mortgage options. Mortgages that change payments frequently, such as Option ARMS, are risky for many consumers. For people who move or refinance every five to seven years, a 5/1 Fixed/Adjustable is often the best choice. Even if you plan to refinance, your payments have been paying interest and principal, so you are typically building equity in your home, making it easier to refinance. If down payments and payment affordability are concerns, ask a good financial institution about what special programs are available for you. Good financial institutions and many other reputable mortgage lenders offer or can connect you to mortgage programs that offer special terms tied to income. Be honest with yourself about what you can afford. Look for homes in the most affordable communities. Smaller or existing homes are typically more affordable than new homes. The mortgage payment may be the biggest cost of owning a home, but it isn't the only one. You have to add the cost of heating, water and sewerage, telephone, maintenance, property taxes, and other expenses. 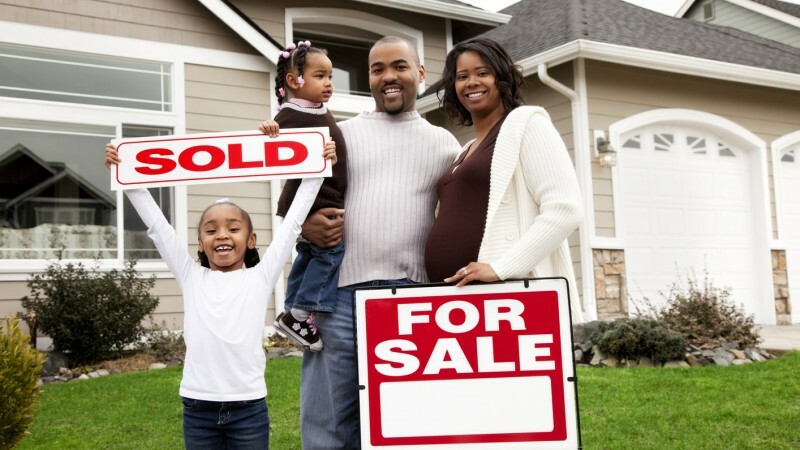 It is always a good idea to do a family budget before you decide to buy your first home. Read and understand the terms of your mortgage before you sign. Ask questions. Some financial institutions have Mortgage Specialists who are very happy to give you all the answers you need to make the best choice for you. Look carefully at any terms that seem too good to be true. Owning a home truly is a big part of the American Dream. In recent years, the lending market has tightened up. "Easy credit" is no longer so easy to get. But plenty of potential problems still exist. Making the right decisions for your budget and family can help you buy a home and keep that dream from becoming a nightmare.